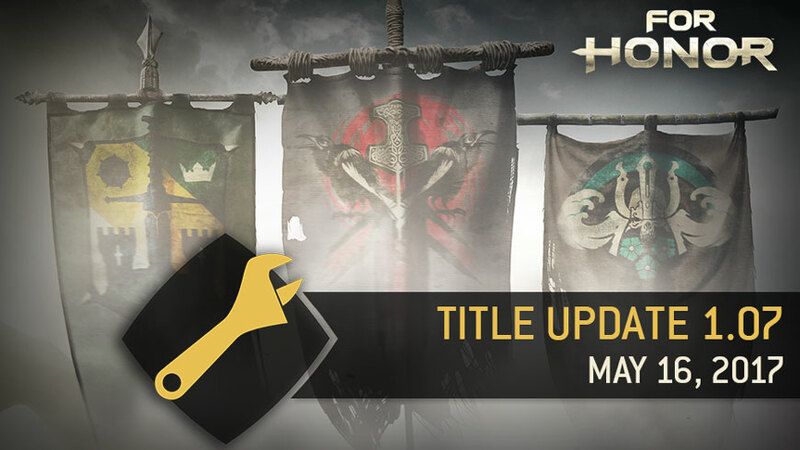 The 1.07 Update will be deployed on May 16 around 8AM EST on all platforms. Developer comments: Dead zone of the right stick guard mode switch is now configurable. (Range 10). The default value is 10, decreasing it will make the guard switch more sensitive. Choosing too low values could potentially result in less accuracy when selecting a guard direction. Developer comments: The ability to cancel out of Guard Break or Light attacks with another attack, also known as soft feints is something the community identified pretty quickly. We’ve taken note of your observations about how it might help improve the defensive meta. However, for now, we’re fixing it because it’s an unintended and most importantly, unreliable mechanic. The timing window to cancel out into a soft feint is not only very short, it also doesn’t trigger reliably. So no matter how hard you try to master the timing, if the window of opportunity doesn’t open, you won’t be able to soft feint. This is why we’re fixing it for now. If we ever were to make an actual gameplay mechanic with soft feints (no promise!) we’d implement it so that you could use it reliably. Developer comments: This is another big exploit that the community has identified quickly. As you attacked your target in Guard mode and released Guard very quickly at the beginning of the attack, a bug caused the attack to lose target, making it unparryable for the opponent. Developer comments: We’ve already updated how Sprint attacks work in order to make sure they trigger only after you’ve initiated Sprint. We had one remaining issue allowing players to Sprint, pull back slowly on the left stick to return to center position, causing characters to maintain Sprint state while not actually moving. Developer comments: Raiders already had some mix up opportunities with the ability to cancel Heavy openers with Stunning Tap, and the ability to use Raider’s Fury inside chains. In order to buff Raiders and make them more fun to play, we’re improving their mix ups by allowing them to cancel any Heavy attack, Raider’s Fury, and Zone Attack into Stunning Tap. It will make the guessing game on Raider offense harder for the opponent. Raider is a good grabber but his Guard Break throw game was a bit lacking in 1v1 situations. So we are improving his different throws. For instance, Stampede Charge now drains enemy stamina while the Raider is running. We’re also making sure the enemy’s stamina doesn’t start regenerating until the move is over. This should make the throws stronger overall, and allow the Raider to play more with enemies’ stamina. Another thing we’ve done to make Stampede Charge stronger is to add damage to the Knee after Stampede into Wall. All of these changes should reinforce the decision making around Stampede Charge based on situational awareness: with a wall nearby, Stampede into Wall will cause more damage on the target, if not, you can still get a big stamina drain out of it. Developer comments: We’re tweaking the Bleed stacks on the Peacekeeper’s Stabs in order to introduce a more interesting trade off mechanism. You can decide to apply only the first two Bleed stacks in order to connect a throw after the second Stab, or you can apply the three Bleed stacks with no follow up option after the third Stab. Overall, we’ve also slightly reduced the max Bleed damage the three Stabs can apply for balancing reasons. Developer comments: Some attack timings were inconsistent across Guard and Out of Guard modes. As we don’t want to incentivize Out of Guard mode combat we’re making sure that Out of Guard mode attacks are setup the same as their Guard mode counterpart. For the Shugoki, we’ve fixed inconsistencies on the Light and Heavy openers. Developer comments: Some attack timings were inconsistent across Guard and Out of Guard modes. As we don’t want to incentivize Out of Guard mode combat we’re making sure that Out of Guard mode attacks are setup the same as their Guard mode counterpart. For the Nobushi, we’ve fixed inconsistencies on the Light opener and Poke the Nest. Developer comments: We accidentally disabled the ability to switch target on the Warden’s Shoulder Bash startup in our latest title update. This was unintended so we’re restoring the functionality. Sorry Wardens! Fixed a bug where all players were in the middle position of the "Your Ranking" leaderboard. 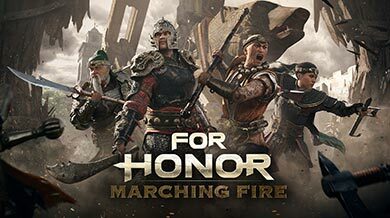 Developer comments: We observed difficulties for certain players to play with new heroes without gear with the new gear values. To help this, default gear now has stats. To note, this does not apply when gear stats are disabled. Developer comments: To accommodate the addition of the new gear, we tweaked the way the gear is looted. To make sure the progression is comfortable, we reduced the amount of levels at which could be looted Rare and Heroic gear. Developer comments: To support all our balancing changes, we removed, merged and moved stats to better focus on interesting and varied builds, with more meaningful choices. Developer comments: Common gear wasn’t impacting the gameplay as much as we would have liked. With higher starting values, gear of all levels now feels more satisfying. Developer comments: Players advising each other on gear strategies always said the same thing: Save your steel for Heroic gear. This means that many players saw very little gear progression until they got their first hero up to Reputation 3. Something that takes a long time. So by making the curve steeper at the low end and flatter at the top, we hope that players will see it as valuable to buy and craft gear of all rarities. Developer comments: Players were hard pressed to even notice the effect of their penalties at anything but the highest gear levels. We hope that by increasing the size of the penalties and removing skills that are of limited use we’ll make all your future gear decisions that much more interesting. Developer comments: We needed to offer a more moderate option for players regarding gear, for players that liked the initial balance of the hero and didn’t want to upset it with powerful bonuses and penalties. So we have introduced new types of stat bundles that take a more balanced approach. Instead of one strong bonus, one medium bonus and one penalty they have three very moderate bonuses. Developer comments: While gauges are excellent at showing relative strengths and weaknesses of the gear, it was hard to decipher the impact they would have on the gameplay. To actually allow players to make meaningful choices and know the effect of their gear, we changed it to numbers. Developer comments: To allow to choice gear at a glance and evaluate gear quality, we added arrows right of the gear stat values when comparing gear. Developer comments: Having gear affect feats and bleed was both hard to understand and very powerful at higher levels. Developer comments: Our data showed players had a hard time to level up new heroes and would not craft early gear as much while having an excess of crafting material at higher levels. To improve this, we changed the cost of steel and crafting material as well as salvage value for gear. We hope to offer a smoother curve while keeping higher level gear a long term goal for high level players. DEVELOPER COMMENTS: We caused a regression on target switching in Patch 1.06 when we made other adjustments to Shoulder Bash. 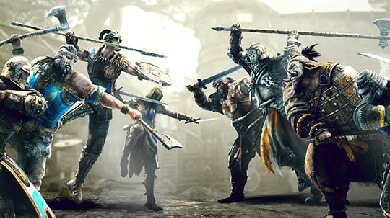 This fix will help Warden once again in group fight situations. Check out our playlist of community tip videos to help you master all aspects of For Honor®.